Ta-da! TD Bank is making its intentions clear with the acquisition of Toronto-based artificial intelligence (AI) company Layer 6. Layer 6 provides an AI-powered prediction engine for enterprise data. Its founders Tomi Poutanen and Jordan Jacobs are also co-founders of the Vector Institute, an AI research and education firm that TD also supports. Vector launched last year with $230 million of backing from over 30 companies including the governments of Canada and Ontario. 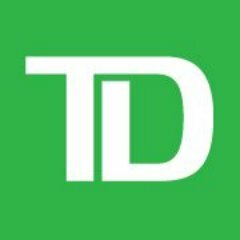 Michael Rhodes, group head, innovation, technology and shared services, TD Bank, says AI has the “potential to power a new generation of data-driven applications from personalised and real-time advice to predictive analytics that will shape the future of banking for millions of individuals”. Financial details were not disclosed, but TD says the acquisition is “not expected to have a meaningful impact” on its common equity tier 1 capital ratio. TD points out its other activities in AI. It announced an agreement with conversational AI provider Kasisto to integrate the company’s KAI banking platform into its mobile app. TD collaborated with Amazon to introduce new voice banking skills on Alexa. It also says it was the first financial institution in Canada to offer a chatbot on Twitter to offer instant help on select general inquiries.